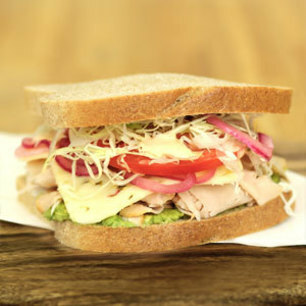 At Great Harvest our dream is to make the best sandwiches you'll ever taste, starting with the best bread in Charlotte! We are slicing meats, cheeses and veggies fresh every day and using only the most natural ingredients to make sure your tummy is as happy as can be! All sandwiches (except PB&J) come with a pickle spear.